I also managed to squeeze in some abs today – reverse sit-ups w/Swiss ball between my legs, 4 x 20, then 4 x 20 rope crunches. I will do more abs on Sunday, I usually have a day where I do only arms and abs, since I always am so tired after chest/ back and don’t want to treat arms as an afterthought. Abs are also always engaged when doing squats and deadlifts, another great benefit of these base exercises. Pretty, aren’t they? Nutritional info for the beans, for those interested are as follows: per 1/4 cup (dry measure) they contain 90 calories, 0g fat, 26g carbs, 15g fiber, 1g sugar and 9g protein. On a traditional prep diet, I would not eat carrots and parsnips in big amounts, or in the evening, as they are higher in carbohydrates and sugar than the green, cruciferous vegetables. This soup is not quite a cheat meal, but close! 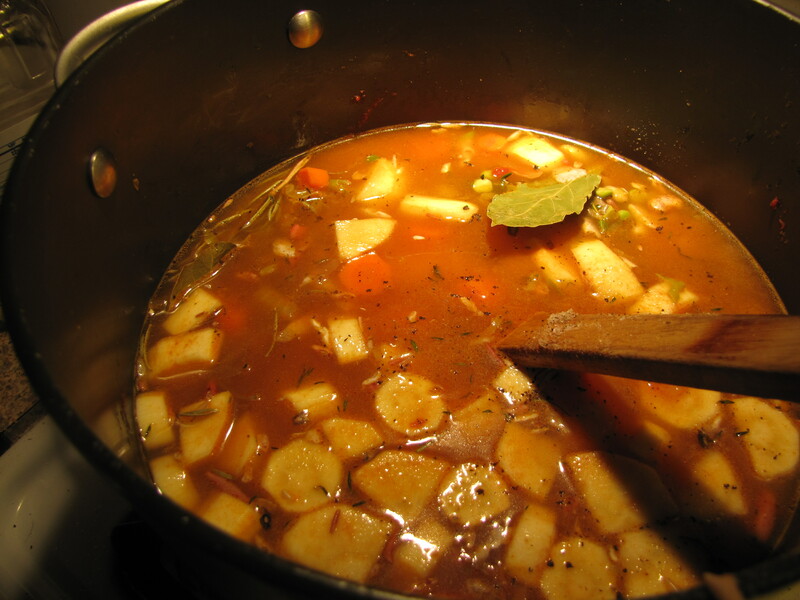 To the soup, you must add some spices to avoid it from being boring and bland! 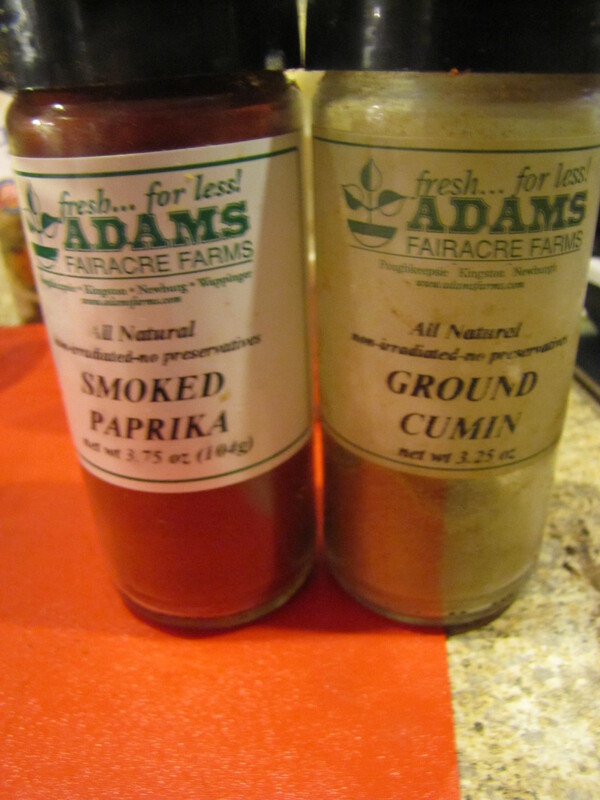 It’s so important to build flavors, and as I mentioned before, all you need is some dry spices and herbs. 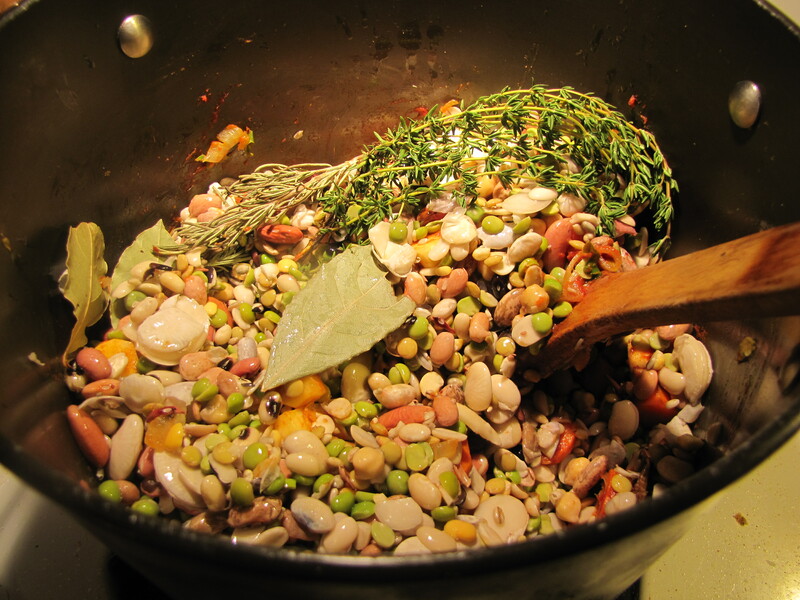 I chose ground cumin and smoked paprika, and in the pot I also added fresh rosemary and thyme leaves and a couple of bay leaves. Then I pour in 2 cups of chicken stock (low sodium), and 4-5 cups of water, season the liquid a little bit, bring to a boil, turn it down to a simmer, put a lid on it and let it cook for about 40 minutes or until the beans are tender. 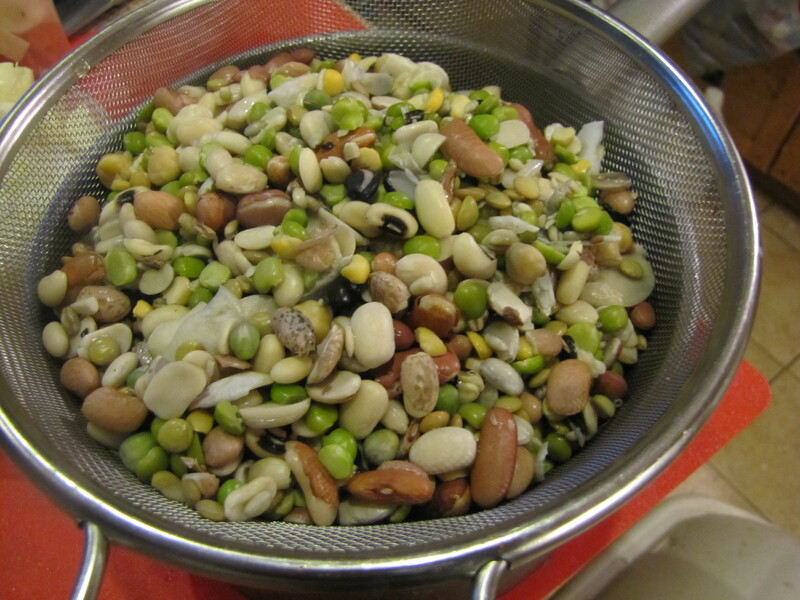 Here is my soup pot right after I added the liquid, ready to get cookin’! 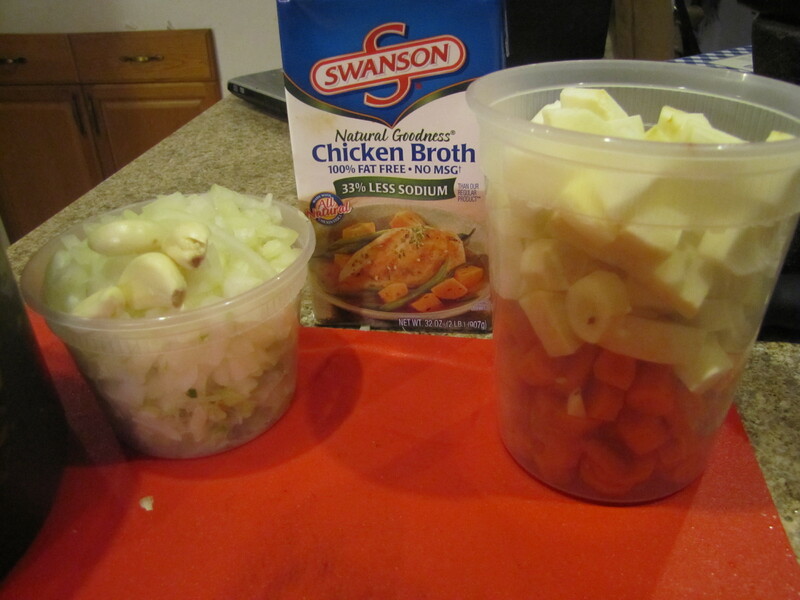 When it’s time to eat, you cook a piece of chicken on the side (Measured out – I eat about 5-6 oz per meal), cut into pieces, place into a serving bowl and pour soup over it, and you’ve got your serving! You can of course eat other vegetables too, such as broccoli, cauliflower, kale, etc. Flavorful, satisfying, soul-warming soup on a Friday night.. that’s nearly fat free, has lots of fiber, vitamins and minerals.. Who’s cheating now?? Healthy food IS delicious! !